SuperForex is an international brokerage house licensed by the International Financial Services Commission (IFSC). We provide top quality financial and investment services to individual and corporate clients on more than 100 markets across Europe, Asia and the Middle East. SuperForex offers its customers multiple additional incentives to trade on the FX market. The No Deposit Bonus is aimed at our new members who want to test our products and services and start trading without initial investments and free of any risk. For unlimited period of time SuperForex’ new members can benefit from our No Deposit Bonus of up to $100 just by opening a real trading account. As its name suggests – no initial deposit is required in order to get the bonus. To obtain the No Deposit Bonus customers need to register a live trading account with us and verify it. After verification they need to submit the “Get the No Deposit Bonus” button from the Clients Cabinet. Note: Every customer may receive the No Deposit Bonus only once. The profit from the No Deposit Bonus can be withdrawn – we, at SuperForex, are committed to providing our traders with improved, risk-free chances of making profit with us. With our Dynamic Bonus customers may withdraw part of the bonus with every trade they made - we do not require any fixed volume of lots to be traded in advance. The Dynamic Bonus is designed based on the principle of communicating vessels – nothing can change in one without affecting the other. In our case - the number of your trade orders will dynamically be reflected on the amount of the funds you may withdraw. This means the more trades you make, the more real money you can withdraw. Note: The maximum amount the bonus that can be released for withdrawal cannot exceed $250 per account. After registering a real account, please choose the “Bonuses” tab on the left hand-side menu and select Dynamic Bonus. At the bottom of the page click the “Get the Dynamic Bonus” button. 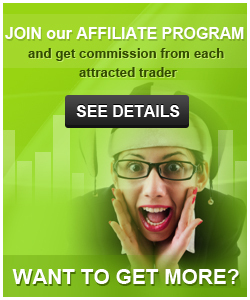 To receive the bonus, you should activate your trading account by replenishing it with at least $100. You can replenish it using whatever method is more convenient for you. The Dynamic Bonus will be automatically credited to your account. With SuperForex you can take advantage of a number of special offers and bonuses, designed to suit all preferences and strategies. For our most active traders we created the 60% Energy Bonus. After registering a real account, please choose “Bonuses” tab on the left hand-side menu and select the 60% Energy Bonus. At the bottom of the page click the “Get the 60% Energy Bonus” button. The 60% Energy Bonus will be automatically credited to your account. Enter today to win the $1000 Lucky Draw contest by SuperForex! For unlimited period of time we are offering you the chance to win a tradable bonus of $1000 or its other currency equivalent amount. By entering the contest, you will be registered for our drawing of a $1000 bonus prize every three months! SuperForex Bonus Prize can be used for operating with larger trading volume and earning better profit. All you have to do is submit the “Get your Lucky Ticket” in the Clients Cabinet and receive your lucky number. The first drawing date is 30th October 2015. All qualified tickets will be captured in the system and eligible for the Lucky Draw. In case there is more than one matching numbers, the prize will be given to the contestant with the bigger account balance. In case no exact match of the number is found, the winner will be the holder of the ticket with the closest number. To ensure that the Lucky Draw is completely fair and unbiased for all contestants, the amount of the deposits they make, and the number of the lots they trade, shall not have any impact on your chances to win. 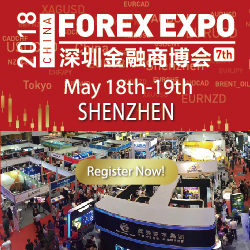 Not registered with SuperForex? You can still qualify to enter the Lucky Draw if you open a new account with us and verify it. Please, click here. 2. Contact SuperForex to have the funds transferred from your old account to the new one.